India is a country with a billion plus population. However, virtually every other day we find the news of one political party or the other trying to use its supporters to create strikes, roadblocks, protest marches which at times escalates into violence. The supporters tend to be emotional and often believe in their leaders. A large number of them toil in the fields espousing the cause of their leaders and some are increasingly taking to the online world to voice their support and vent their ire. Due to India’s massive population, the number of followers is also huge. Not many countries in the world do have such massive political workers, supporters and ideological followers. If a country has to progress then it has to recognise and tap the potential of its people. So the question before us today is how do we channelise the energy level of the supporters to create a better India. In this era of increased climate change, when the common man is being hit hard, it is imperative that we try and create some climate change mitigation plans. Massive re-greening of our degraded lands, waste lands and open spaces is the need of the hour to help in capturing the increased levels of CO2 in the air. In this regard, there have been sporadic efforts at tree plantation by various Governments. From time to time even the Central Government has talked about tree plantations to create a Green India. However, nothing much has come out of those Government schemes, as they have been too little when compared to India’s needs. So what can be done? The solution perhaps will become evident if one analyses the potential of some populist moves. Recently, in a unique move the Chief Minister of Tamil Nadu, J Jayalalithaa has announced a tree plantation drive to plant 68 lakh saplings to commemorate her 68th birthday. This program is budgeted to cost the exchequer 61.88 crores of rupees. Infact, what has gone unnoticed earlier is that the Tamil Nadu Government under AIADMK party apparently has done a similar move in previous years as well. 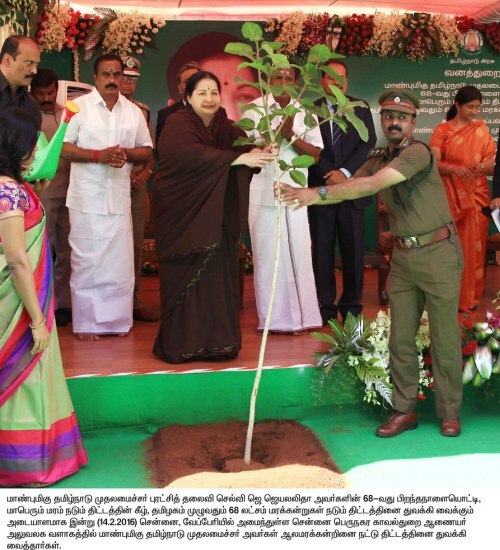 The Tamil Nadu Government Press release states that 64 lakh saplings were planted in the year 2012 to mark Jayalalithaa’s 64th birthday and one lakh more with each advancing year. These saplings are to be planted in this calendar year before December by the forest department. It is said that the saplings would be planted in forests, schools, colleges, offices, in parks and roadside. On paper it is a good move because when the trees grow big they help in a big way in carbon sequestration. Trees also help in increased rainfall as they release moisture to the air. Scientists have also found out that the trees reduce the ambient temperature of the place by providing shade as well as transpiration. The trees also help in reducing the urban heat-island effect. 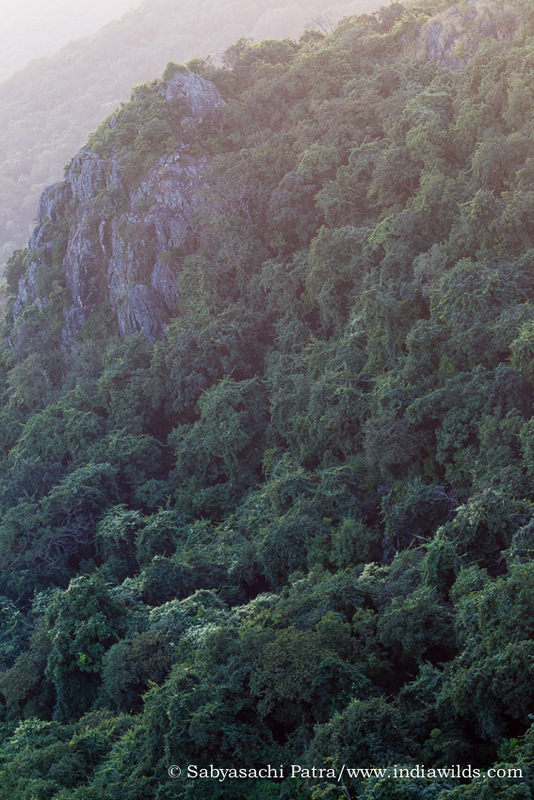 Trees also serve as effective barriers and help in stopping the dust storms and reducing atmospheric pollution. However, like every thing in life, the devil lies in the details. Only planting saplings will not be of any good if they are not nurtured. If the Government is continuing planting such saplings for the last four years then atleast the Government offices and schools should have got all their areas covered. No one keeps a track of the saplings to know if all of them survived. Neither the Government has released figures of their survival rates. Nevertheless this is a good move and it can be improved and adopted throughout India. There are enough fallow lands under revenue department and degraded forest lands which were at one point of time covered with forests. Those areas can be taken up in priority basis for plantation of saplings. However one thing needs to be taken care off. In no case exotic species should be planted. Saplings of only native species should be taken up for plantation. The forest department should have a map of areas where it is planting trees with their coordinates so that citizens can also be involved in maintaining and nurturing at least some of those to adult stage ie to hard growth trees. Just like PPP (Public-Private-Partnership) model, the Government can also earmark areas and ask the public to join in the celebrations. So plantations can be done at one go and it won’t just be the task of a mostly under-staffed and unmotivated forest department. Tamil Nadu and in most of the Southern Cities there is a culture of hero worship. The followers of politicians and film heroes go to great lengths to pay their respects and prove their loyalty to their leaders. When Jayalalithaa was sent to prison due to a disproportionate assets case, some of her party followers even committed suicide. Others create huge hoardings and install it in the roadsides. Such fanatic following can always be diverted to a good cause like planting trees. Infact the Government can also enlist the support of the people for tree plantation. There are many people who want to get involved but can’t undertake an initiative of their own. So they can always join such Government schemes. When the Government does 68 lakh tree plantations, then to supplement the Government’s efforts each of the party supporters and nature and environment lovers can take targets of planting 10 trees and the total can be impressive. The supporters of the party can always plant trees in their nearby localities if word is spread that she desires party workers to start working towards a Green Tamil Nadu. When one party adopts such a noble cause, then other parties too would be compelled to take up tree plantation work. In a few years when the trees grow up the benefits of tree-plantation can become apparent and the culture of tree plantation will become deep-rooted. Film stars can be roped in to support the tree plantation movement. It would become effective when they take up this cause and exhort their fans to take it up. Tree plantation can also be linked with certain milestones. For example when a National political party recently claimed that it became the first political party to have 10 crore members in India, the claim was quickly forgotten. However, if the party would have announced that to mark this 10 crore membership, it is undertaking an all India tree plantation drive of 10 crore saplings, then that could have resulted in activity and remained in the memory of people for a long time to come. People also tend to create memorials of leaders. Instead of erecting statues and creating lawns around them, if a patch of forest is created in the name of such leader, then it can continue to be an asset for our society and mother earth. Often people don’t understand the importance of grasslands. So they dig up traditional grasslands and plant trees. Grasslands is an equally valuable ecosystem and tree plantations shouldn’t be done in traditional grasslands. In fact tree plantations can be carried out in the wastelands and even in places where slag and flyash of industries are dumped. Power plants generate mountains of flyash and planting trees can lead to greening of those barren areas as well as containing the dust from flying and causing more pollution. One often finds stone crushing where construction and road building is taking place. Once the construction is over the area remains destroyed. All such places can be identified and trees planted to re-green those areas. I am sure other states of India can learn from this and further improve and implement tree plantations to commemorate the birth and death anniversary of leaders as well as other important events. The first thing that comes to my mind when I think of Panna is the soaring vultures. Panna is one of the best places to watch these rare and magnificent birds as they soar freely, high in the skies. 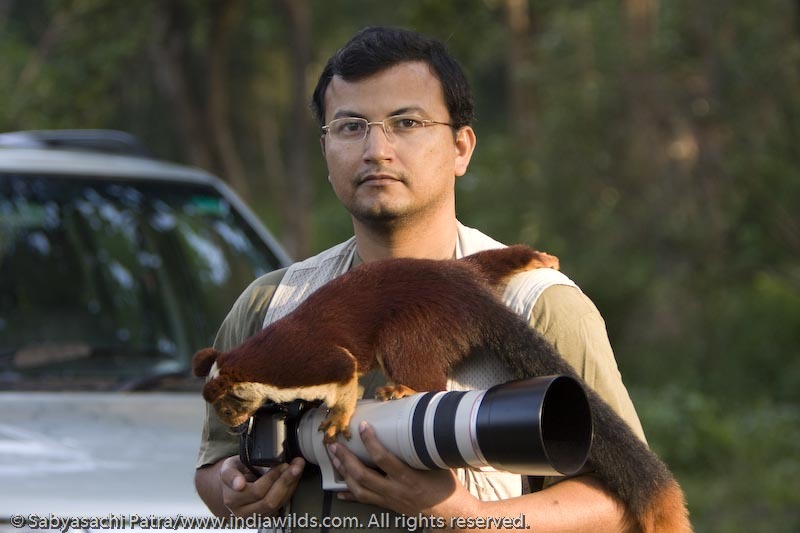 Panna is also famous for its tiger reserve and the successful tiger reintroduction program. 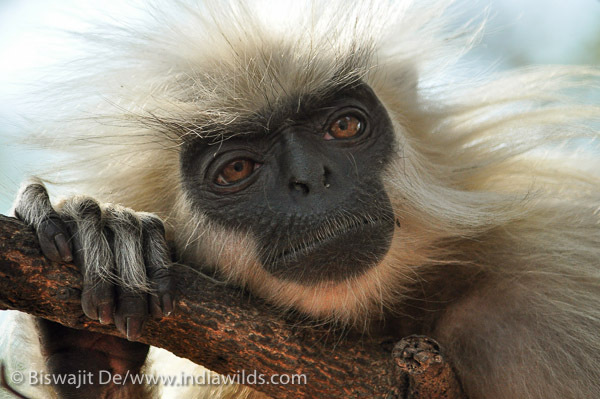 Many rare and endangered species of wildlife are found in the Vindhya hills and grasslands of the Panna area. A 10-year-old elephant died trying to save her calf which was caught in an electric fence in Tamil Nadu’s Vellore district this morning. Both mother and child were electrocuted. No arrests have been made yet. Investigators are looking for the man who had taken the land on lease. A few days ago, a herd of three elephants including the two that were found dead today was seen roaming in the area and local people had complained of crop damage. While solar electric fences with very low power supply to emit just pulses that keep animals away, officials say the fence that killed the elephants this morning was connected to high voltage power. Elephant deaths due to illegal electric fences are treated on par with poaching. Officials say it appeared the calf got stuck in the live fence first. The mother tried to lift it and got electrocuted. 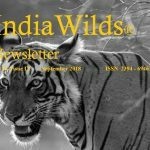 In January 2012, the Madras High Court had directed the state environment and forests department to remove illegally erected solar and electric fences in the elephant corridors. An appeal against the order was dismissed by the Supreme Court. But, farmers continue to put up illegal fencing. In Tamil Nadu electric fences kill more elephants than poachers. The elephant is a protected animal under wildlife laws and included in other species like the tiger and lion in Schedule I of the Wildlife Protection Act. The recent incident of beaching of dead dolphins and whales continues as a Bryde’s Whale, washes ashore on to the Juhu beach in Mumbai yesterday night around 9pm. According to forest officials, the whale measured around 35 – 40 feet, approximately weighing around three to four tonnes. Assistant Conservator of Forest (Mangroves Protection Cell) Makrand Ghodke said “From initial examination, the whale seems to have died a day or two back. It bloated and was then carried in by the tide to the beach. internal decomposition of the organs has already started, and the outer skin of the whale, around the tail and stomach had started to peel off. We will deflate the carcass on the beach itself, otherwise it could explode” . 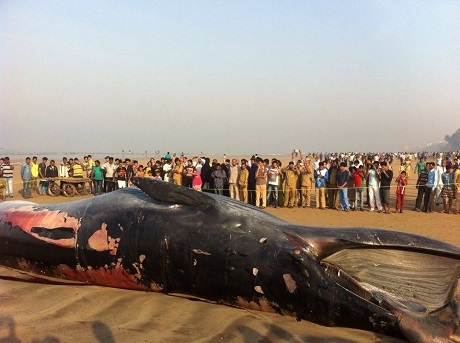 Ghodke added that this was the second biggest whale to have beached on the western coastline following the washing ashore of the Giant Blue Whale at Alibaugh, last year. The carcass has no evident signs of injuries. The team extracted tissue samples for forensic analysis at a lab in Kalina. There are four veterinarians who will perform the autopsy at the spot on Juhu beach, and then move the carcass to the forest department’s conservatory in Airoli. Officials plan to preserve the skeletal structure of this whale at the information centre in Airoli of Navi Mumbai. Sabarimala in Kerala gets huge number of pilgrims who go there to pay their obeisance to Lord Ayyappa. 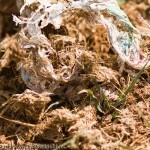 The surrounding forests were facing a heavy burden due to the plastic waste being dumped by tourists. Now the Hon’ble Kerala High Court has stepped in to give Sabarimala temple and surrounding forests a respite from plastic waste by banning the sale of plastics. Henceforth no plastic bottles including water bottles can be sold in any place along the route in Sabarimala. The Hon’ble High Court bench comprising Justice Thottathil B Radhakrishnan and Justice Anu Sivaraman ordered “There can be no sale of any material including water in pet bottles or other types of plastic bottles in any place connected with Sabarimala, including Sabarimala sannidhanam, Pampa, Nilakkal etc..”. Last year the High court had already ordered that the sacred bundle or “irumudikketu” carried by pilgrims shouldn’t contain plastic packing materials. So it was widely expected that they would ban the sale of plastic bottles in the area. There were even occasions when elephants were found to have died by consuming the food along with its polythene foils and polythene bags with flowers etc. The pilgrim season starts around the middle of November each year and continues for couple of months. A total of 3 crore pilgrims were estimated to have visited last year with the number becoming higher this year. Wish the Hon’ble High Court can also order installation of bio-toilets on the route as the Government today is loathe to take it up without and pushing from the judiciary. The National Steering Committee on Climate Change (NSCCC) has had its ninth steering committee meeting under the chairmanship of MoEF&CC Secretary, Shri Ashok Lavasa. In this meeting, the committee reviewed projects under approved the National Adaptation Fund on Climate Change (NAFCC). The Detailed Project Reports (DPRs) on climate change adaptations submitted by the Governments of Telangana, Mizoram, Jammu & Kashmir, Meghalaya and Chhattisgarh for funding were approved for implementation. The total cost of these projects would be approximately Rs. 108 crore. The Government of Telengana’s project is aimed at enhancing the climate resilient agriculture for improving livelihoods. This project to be completed over four years is titled “Resilient Agricultural Households through Adaptation to Climate Change in Mahbubnagar district, Telangana” and will cost of Rs. 25 crores. An estimated 2000 farming households in Mahbubnagar district of Telangana are likely to benefit from this project. Among the farming beneficiaries roughly 30% to 50% are . The Government of Mizoram’s project aims to enhance the resilience of agriculture covering crops, livestock and fisheries through development and application of improved production and risk management technologies. This project is known as “Sustainable agriculture development through expansion, enhancement and modelling in the state of Mizoram” and will cost Rs. 10.95 crores over a period of three years. The Jammu and Kashmir Government’s project is titled “Climate Resilient Sustainable Agriculture in Rainfed Farming (Kandi) Areas of Jammu & Kashmir” and is planned to be executed over a period of four years. The total plan outlay is for Rs. 23.86 crores. This project is planned to reduce the agricultural vulnerability of farmers in water stressed rain shadow zones. It aims to promote appropriate cropping system, rainwater harvesting and recycling, appropriate irrigation and water saving facilities, integrated farming system building soil resilience combined with integrated nutrition management with special focus on micro-nutrients and institutional interventions. Approximately 2500 farming families, especially those small and marginal farmers, are expected to benefit from this project. Meghalaya Govt.’s project titled “Spring-shed development works for rejuvenation of springs for climate resilient development in the water stressed areas of Meghalaya” was approved at a total cost Rs. 23.98 crore and it will be carried out over four years. 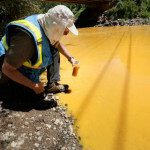 This project seeks to maintain and improve the integrity of the natural water bodies. The project interventions will help in reducing the surface runoff of rainwater in the spring-shed areas, promote deeper water percolation, and rejuvenate the water table. The project is expected to benefit approximately 16, 494 households. The Project from Chhattisgarh aims to promote water conservation and demand side management as a major adaptation strategy, while improving local livelihood. This ‘Climate Adaptation in Wetlands along the Mahanadi River Catchment Area in Chhattisgarh’ project will run for four years and will cost a total of Rs. 24.95 crores. About 1,500 farmers would be switched from commercial farming to climate smart agriculture practices. About 7000 families are expected benefit from this project. In India most of the internet penetration is happening through mobile phones. And the existing users who have access to desktops and laptops are becoming much more mobile then they used to be a few years ago. So to raise awareness and reach out to more people we need to adapt ourselves and make IndiaWilds easily accessed through a mobile phone using android OS. We have created a mobile phone app so that people can access IndiaWilds anytime, anywhere without being tied to a computer. No need to type. One can access at the click of a button. We have developed this app through Business Compass LLC a company based in Randolph, New Jersey, United States so that we create a good app. Canon has finally announced the 1DX Mark II on 1st Feb 2016. EOS-1D X Mark II can shoot at expanded sensitivities down to ISO 50 (L) and up to 102400 (H1), 204800 (H2) and even 409600 (H3)! Although the AF module remains same but the EOS-1D X Mark II’s AF algorithm has also been improved: it’s equipped with AI Servo AF III+, which remembers the AF path and helps refine precision. Whether choosing individual AF points manually, using the Large Zone AF area or any of the camera’s automatic AF selection modes, the EOS-1D X Mark II is designed to exceed users’ expectations for high-precision AF. Canon 1DX Mark II was limited to 12 fps RAW+JPEG Shooting, 14 fps in JPEG, in the other hand the new Canon 1DX Mark II camera can record up to 170 full-size RAW files, and JPEGs up to full card capacity at 16 fps. 4K/60p and Full HD/120p video can also be recorded with virtually no restriction, and with exFAT format support, movie files of larger than 4GB can be recorded without the need to merge files. Performance with CF cards through the camera’s CF card slot is impressive as well: the EOS-1D X Mark II can capture up to 73 full-size RAW files and JPEGs up to full card capacity when recording to CF UDMA7 media. The newly announced 1DX Mk II camera now features 360K RGB+IR metering sensor combined with Dual Digic 6+ processor that greatly contribute to the camera’s impressive AF performance for both stills and video. The canon 1DX Mk II can record 4K (Motion JPEG)video at up to 60 fps, recording smoothly to CFast™ cards. It’s the first EOS camera able to record Full HD video at 120 fps. Users can select ISO upto 12800 for 4K video and 25600 ISO while recording Full HD video. 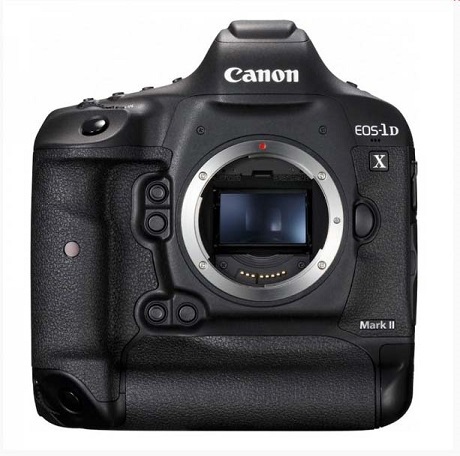 The Canon EOS-1D X Mark II camera’s comes with a 3.2-inchtouch panel TFT LCD monitor has approximately 1.62 million dots Its new touchscreen function allows AF point switching and image magnification during Live View shooting and movie shooting, providing convenient operation. The EOS-1D X Mark II not only corrects peripheral brightness and chromatic aberration, but also features distortion correction plus diffraction correction, which has been included for the first time in an EOS camera. Distortion correction helps resolve barrel and pincushion distortions,while diffraction correction virtually eliminates the blurring effects from diffraction that can be created when capturing an image at a small aperture. The camera’s Dual DIGIC 6+ Image Processors help ensure these corrections can be made with virtually no effect on operational speed. 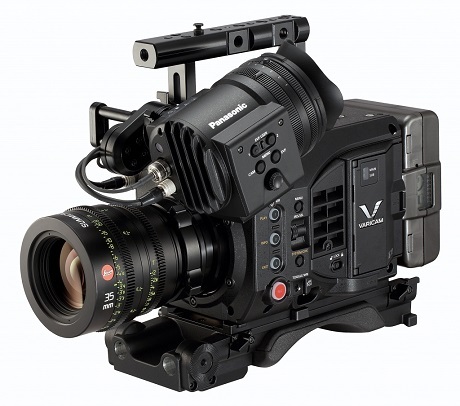 Panasonic has unveiled the VariCam LT, representing the next generation of 4K cinema cameras. The VariCam LT camcorder inherits the same super 35mm sensor and superb imaging capabilities that distinguish the award-winning VariCam 35, but with significant reductions in size, weight and price. Dynamic Range: The VariCam LT inherits the DNA of the VariCam albeit in a more compact form and has 14+ stops of dynamic range with V-Log. Dual Native ISOs: Varicam LT also has the dual native ISOs of 800/5000. Formats: The VariCam LT delivers superb image handling in multiple formats ranging from 4K, UHD, 2K and HD, and like the VariCam 35, is fully capable of High Dynamic Range (HDR) field capture. The new 4K camcorder offers Apple ProRes 4444 (up to 30p) and ProRes 422 HQ (up to 60p) support for HD recording, as well as Panasonic’s AVC-ULTRA family of advanced video codecs. Colour Management: The Varicam LT inherits the same cinematic VariCam image quality and color science.Powerful color management capabilities combined with VariCam’s extended color gamut and support for the Academy Color Encoding System (ACES) workflow allow for full fidelity mastering of original source material. The VariCam LT offers in-camera color grading, with the ability to record an ungraded 4K master along with all on-set grading metadata. A new color processing feature is ‘V-LOOK,’ which acts as a blend of V-Log and video, and allows filmic documentary acquisition without the same need for intense color grading. Media: There is one expressP2 card for all formats including high frame rate and HD/2K/UHD and 4K recording (the 256Gbyte expressP2 card can record up to 90 minutes of 4K/4:2:2/23.98p content). However, the cost of Express P2 cards are far higher than CFast 2.0 cards. RAW: RAW output from SDI is planned to be supported by a firmware upgrade in early summer 2016. Convergent Design has announced that its Odyssey 7Q+ recorders will be able to record the RAW output from the Panasonic VariCam LT.
EF Mount: The VariCam LT features an EF mount (vs. the VariCam 35’s PL mount), suitable for the wide array of lenses available for smaller cameras. * The EF mount can be switched out to a robust standard PL mount, expanding the range of compatible lenses that can be used. The control panel can be separated from the camera body to facilitate real-time control and easy menu access. The camcorder has a production-tough magnesium body to assure durability and reliability in challenging shooting locations. Other features new to the VariCam LT are power hot swap, IR shooting (further enhancing the camcorder’s extreme low-light capture at ISO 5000), 23.98 PsF output, and image presets as scene files. Built-in ND Filter: Among the camcorder’s top-level production assets are ND filters (CLEAR, 0.6, 1.2, 1.8), an optional OLED electronic viewfinder (EVF) with optical zoom functionality, 24-bit LPCM audio for in-camera audio master recording, Focus Assist, anamorphic lens de-squeeze, special REC functions (PreRec, interval, one-shot), IP control via Panasonic’s AK-HRP200 camera remote controller, and built-in GPS. Professional interfaces include: 3G-HD-SDI x 3 (SDI-OUT X 2 and VF), LAN, genlock in, timecode in/out, USB2.0 Host and USB2.0 Device (mini B), and three XLR inputs (one 5-pin, two 3-pin) to record four channels of 24-bit, 48KHz audio. Weight: Weighing just under six pounds and having superior capability to similar sized cameras, the VariCam LT will be the ideal camera for handheld, SteadiCam, jib, crane, drone, gimbal and overall cinema verité work. The VariCam LT is likewise tailor-made for owner/operators, independent filmmakers, documentary makers and corporate production creators. Availability: The VariCam LT will be available at the end of March 2016. Cost: The suggested list price is $18,000 (body only) and suggested list price $24,000 for body and AU-VCVF10G viewfinder. The street price would be a bit lower. Competition: At this price the Varicam LT is in the range of F5, C300 Mark II cameras and would give a tough competition to these cameras. – 1080/60p Full HD video to capture brilliant results in MP4 format for easy movie sharing on select social networking sites and in either ALL-I or IPB compression modes with optional embedded time code. – In Video: HDR movie and Time-Lapse movie modes and Movie creative filters like fantasy, old movie, memory, dramatic monochrome and miniature. – Built-in headphone jack, a built-in stereo microphone with manual audio level adjustment, and an additional stereo microphone jack. 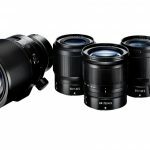 Canon has also announced a new kit lens EF-S 18-135 f/3.5-5.6 IS USM lens. – New premium exterior design with a smooth satin finish. – Improved AF speeds up to 4.3x (Tele) and 2.5x (Wide) faster than the previous model. – Four stops of optical image stabilization. Dynamic IS helps while shooting video. – A new lens hood, the EW-73D, is included with the new lens. Canon has launched a new power zoom adapter PZ-E1 to make shooting videos easy. 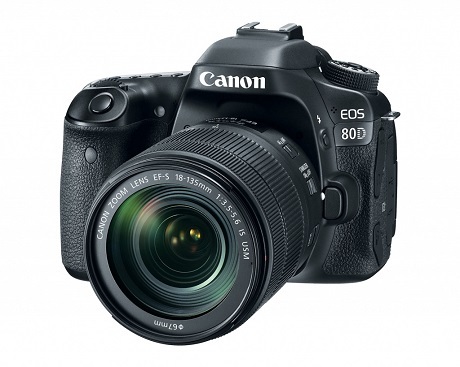 – Can be used with DSLRs and Cinema EOS cameras. – The Canon Power Zoom Adapter PZ-E1 is the world’s first detachable zoom adapter that provides silent and smooth zoom and can adjusted incrementally to 10 different levels of zoom speed. – The PZ-E1 can be controlled remotely using the Canon Camera Connect app. Canon has also introduced the Canon Directional Stereo Microphone DM-E1. – The microphone can be rotated up and down from 90 to 120 degrees so that when you point your camera up or down the angle of the microphone can be independently adjusted to line up towards the source of sound. – The DM-E1’s durable shock mount construction is designed to reduce camera operation noise and lens drive sounds and is built to be tough to withstand various shooting scenarios. – Frequency response range is from 50Hz to 16kHz. – The DM-E1 comes with a wind screen to help limit peripheral sound from wind and other outside factors, allowing shooters to utilize the microphone in a broad amount of shooting situations. – Featuring a built-in power supply from a single “button-type” lithium cell battery, the DM-E1 also has a power indicator lamp allowing users to easily check its battery level. Golden Heritage on the Thin Red Line! Sound analysis of the TN drive. I hope they do it well. I tweeted this post but automatically doesn’t attribute the story to you. Check out your twitter plugin if you have time.